This is a story that will curl around your mind and have you thinking, questioning and wondering. A story of courage, friendship and sacrifice, it will stay with you long after you close the book. 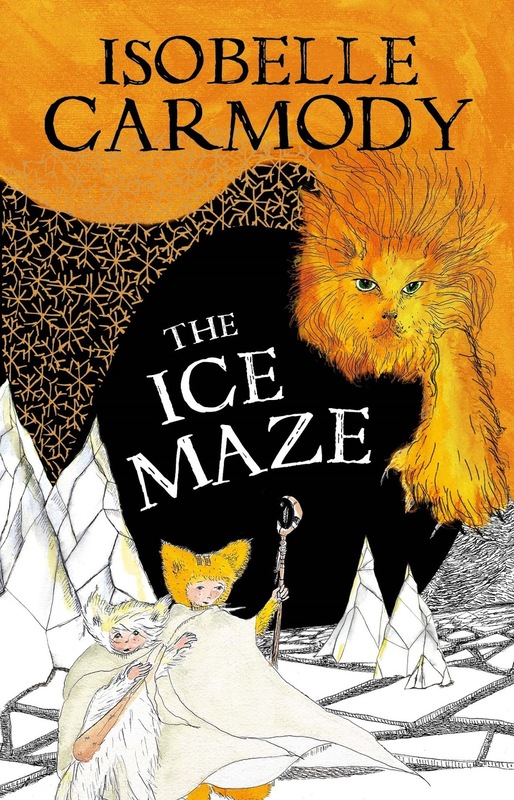 In the third instalment of the Kingdom of the Lost series, The Ice Maze, brothers Zluty and Bily continue their quest to find a new home and save their friend, the Monster. They must be brave, together and alone, and face a harsh winter terrain, the giant Nightbeast and the mysterious Monks as they travel through the freezing landscape. Acclaimed Australian author, Isobelle Carmody, has once again created a rich and detailed story world with its own rules, languages and a mysterious history the reader must piece together alongside the main characters. Who are the Makers? What is their plan? What’s on the other side of the sky crack? And why does Maker’s metal look strangely familiar? If you're a fan of this middle fiction series already, you'll be delighted to know The Ice Maze delivers more details than ever before about the mysterious Monks and their connection to the Makers. Secrets about the Monster are revealed, and the fascinating history of the Diggers begins to unfold. And if you're new to the series, and you love fantasy, mystery and/or journey stories, this is a novel you will adore. Carmody has very skilfully provided younger readers with a tale that is not too complicated, while still including challenging and thought-provoking topics kids will find engaging and addictive. The black and white illustrations throughout the book, by Carmody herself, are also marvellous. They provide just enough for readers to get a handle on the unique creatures that inhabit the story world, and they're beautifully scattered throughout the pages showing pivotal scenes and often tender moments between characters. But while this series technically sits somewhere around the middle fiction age group, I’m not going to limit my recommendation to this group alone. This is a story that transcends age. It’s the kind of book to be read, enjoyed and discussed by both parent and child. But whoever decides to pick up this book (and I very much hope you do), I do recommend going back to Book 1 (The Red Wind) and Book 2 (The Cloud Road) to get the most out of this amazing series. Filled with themes of loyalty, hope and courage, The Ice Maze, and the whole Kingdom of the Lost series, is the kind of story that becomes a cherished favourite, earning a forever-spot on the bookshelf.